LONDON (April 3): The South African rand fell 1.5% on Monday to two-month lows on worries about a ratings downgrade following last week's removal of a respected minister, but broader emerging assets were supported by strong factory data. South African markets extended their losses following Friday's dismissal of finance minister Pravin Gordhan, who had a reputation for fiscal prudence. Economists have questioned the credentials of his replacement Malusi Gigaba and there are fears the country's credit rating is at risk, with the opposition requesting a no-confidence vote on President Jacob Zuma. "South Africa remains greatly exposed to a risk of a strong correction," said Cristian Maggio, head of emerging markets strategy at TD Securities, adding that there was now a higher chance of a ratings downgrade by Moody's on Friday. "That is something the market is wary of as it would be a further step in the direction of a junk rating." The rand fell 1.5% against the dollar to fresh two-month lows and the yield on the benchmark 2026 sovereign bond hit its highest in about two weeks according to Tradeweb data. The average yield spread of South African sovereign bonds over US Treasuries rose 3 basis points (bps) to 272 bps, the highest since early January. Five-year credit default swaps were trading at 218 bps, according to IHS Markit, having blown out to 219 bps on Friday, the highest since mid-December. 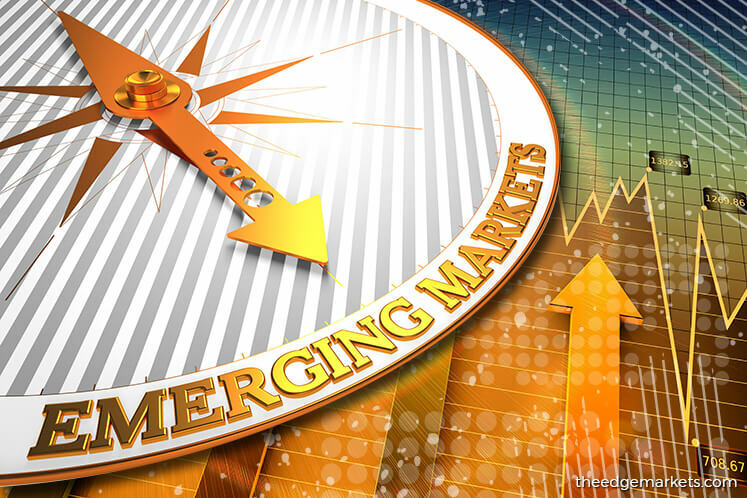 Away from South Africa emerging market assets benefited from strong manufacturing activity data, which reinforced the view that the global economic recovery was gaining momentum. MSCI's benchmark emerging equities index rose 0.4%, with Poland and Hungary shares gaining 0.6-0.9% and Russian shares up 0.5%. This echoed the strong performance in Asia where India shares rose to a fresh record high and Chinese mainland stocks gained 0.6%. China's factory activity unexpectedly expanded at the fastest pace in nearly five years in March. Indian factory activity was at a five-month high, helping the rupee to a near 1½-year high, and in emerging Europe, even Turkish manufacturing activity hit a three-year high. However, the lira weakened 0.4% against the dollar after Turkish annual inflation hit its highest in more than eight years in March, surging 11.29%. "The currency is still passing a lot of inflation into the real economy. The question all this begs is how tight should rates be to stabilise inflation, which means reversing this trajectory," Maggio said. Serbia's dinar firmed a touch against the euro after conservative Prime Minister Aleksandar Vucic won Serbia's presidential election on Sunday by a huge margin, as he pursues a delicate balancing act between Europe and Russia. Yields in many dollar-denominated bonds issued by Venezuela's state-owned oil company PDVSA hit multi-month or record highs late last week or earlier on Monday, but then retreated with the yield in the 2024 issue falling by nearly 100 basis points. The volatility followed last week's Supreme Court ruling that it would take over the functions of the National Assembly, which triggered international condemnation and opposition protests. Venezuela is negotiating financial help from Russian oil major Rosneft to complete nearly US$3 billion in PDVSA debt payments coming due to bondholders next month. Meanwhile in Ecuador the leftist government candidate Lenin Moreno claimed victory in the presidential vote on Sunday, but the conservative challenger has asked for a recount.